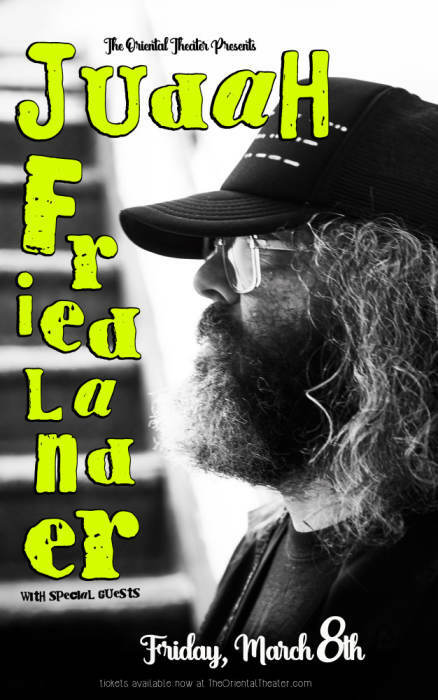 Judah Friedlander comes to The Oriental Theatre in Denver from New York City. Last year, Judah’s critically acclaimed 84 minute stand-up performance film America Is the Greatest Country In the United States (Netflix, 2017) was named best comedy special of the year by many critics, comics, and fans. Judah is back touring the USA with all new material after doing an 8 country 15 city tour in Europe. Thematically similar to his Netflix special, but with all new material, Judah’s new tour, Future President, features tons of jokes & profound satire covering all the big issues of the day from human rights to national & international affairs, as well as American Exceptionalism. And with Judah’s hilarious & unique crowd work, he invites you to ask him questions about his presidential platform for 2020.